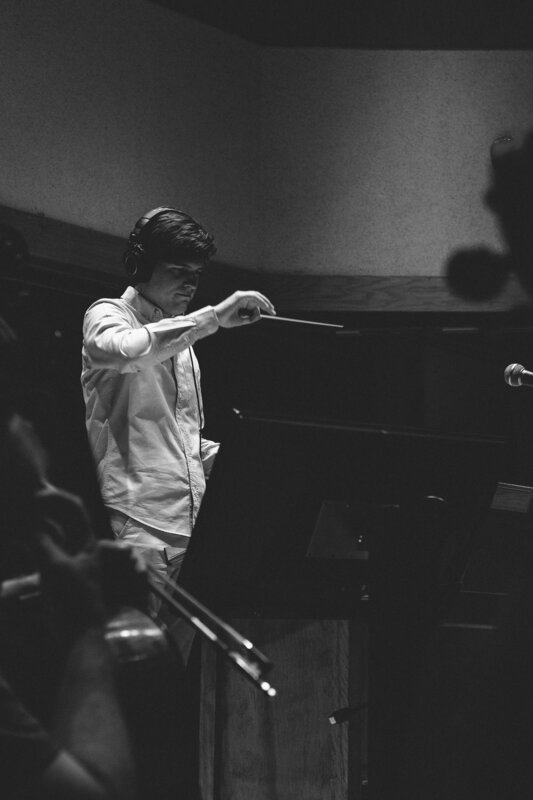 As a composer for films and television, Joshua Moshier has established himself as a trusted collaborator and distinctive musical voice. Joshua's television work includes scoring the FX series Baskets, starring Zach Galifianakis; NBC's Shrink, created by Tim Baltz & Ted Tremper and streaming on Hulu; Sky One’s Sick of It from Richard Yee & Karl Pilkington, the upcoming Netflix series SPECIAL from Jim Parsons’ That’s Wonderful Productions, and the main title music for the IFC series Documentary Now! starring Fred Armisen and Bill Hader. On the feature film side, Joshua scored the Netflix film Happy Anniversary from writer/director Jared Stern, Good Enough from writer/director AnnaRose King, and Beneath Us from writer/director Max Pachman. His recent assignments include an upcoming series for DreamWorks Animation, producing and arranging the main theme for HBO’s Pod Save America, and scoring the Adult Swim pilot Three Busy Debras from director Anna Dokoza and Amy Poehler's Paper Kite Productions. Joshua created the interactive ambisonic music for Google's Earth VR (available for Oculus Rift and HTC Vive), which won a Cannes Lion for innovation and was recognized by Ars Technica as "VR's killer app." On the web, Joshua's music has been featured in three Vimeo Staff Picks, including the viral animated hit Sidewalk, directed by Celia Bullwinkel. He also composed the score for the UnREAL spinoff The Faith Diaries, written and directed by Sarah Gertrude Shapiro, streaming on Hulu. Joshua is an alumnus of the Sundance Institute Film Music Program (Narrative Feature) and the BMI Conducting Workshop. Born in Baton Rouge, LA and raised in St. Charles, IL, Joshua studied music at Northwestern University. Throughout and after college, he delved deeply into the Chicago music scene, performing as a pianist with Marquis Hill, Chris Madsen, Milton Suggs, John Moulder and many others. In his own group co-led with Mike Lebrun, he released Joy Not Jaded and The Local Colorists, as well as his Chamber Music America commissioned work Touch and Go: The Studs Terkel Project. Joshua Moshier is represented by Seth Kaplan and Christine Russell at Evolution Music Partners.